The first meeting of the National Grange was held on December 4, 1867 in the office of William Saunders, Superintendent of the Propagating Garden of the Department of Agriculture in Washington, D.C. Since 1873, the Oregon State Grange has been a grassroots, non-partisan advocate for agriculture, rural issues, and American values. 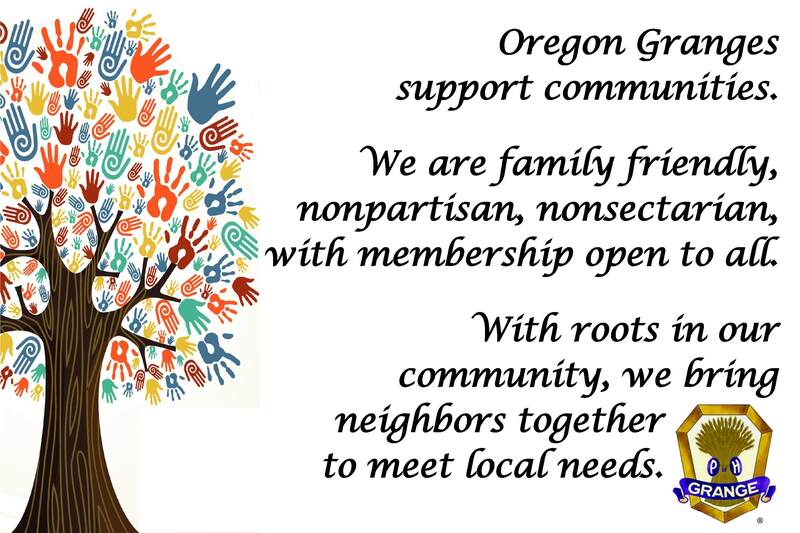 The Oregon State Grange is a part of a nationwide nonprofit fraternal organization with programs for family members of all ages. 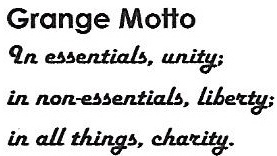 To learn more about the Grange, read our Declaration of Purposes. Also see What is the Grange? Granges are celebrating our 150 years and looking forward by seeking new members. We’d like you to join us! See which membership plan is best for you and your family. Link to 990N ePostcard here.